Sun File PhotoA view of Perazzo Meadows, which was purchased in 2009 by the Truckee Donner Land Trust, one of many large open space deals. TRUCKEE/TAHOE, Calif. – We would prefer to look at 2009 with one eye closed. For a brief time, the region saw the economy dip down to levels not seen since the late 80s, and optimism dip even further. During that volatility, the stress on us as a region was evident. We fought and filed lawsuits, we packed our bags and left, and much of our community was pointing fingers about the future of the school district. Frankly, it wasn’t much fun, which is why we’d prefer just to move on and forget most of it. Yet, that would be too easy. Between the bad news headlines and tragedies did lay a bit of silver lining. Those in the region who survived 2009 – however you define that – will walk into 2010 with a resolve and a confidence unparalleled in most of our lifetimes. The evidence is clear. Development on the horizon is beginning to employ more workers. Early snowfall propelled the region to the top of the resort world for the 2009 Christmas holiday week, and the school district is beginning to refocus itself away from the politics and back to the classroom. But we don’t have to remind our readers how far we still have to go, and the volume of challenges we have to overcome to protect our region and our quality of life. So, to 2009 and all its bittersweet memories, we bid you adieu and thank you for the whipping. And when you finally go, please don’t let the door hit you on the way out, and definitely don’t look back. The Tahoe Rim Trail Association made steady progress this year, closing another gap in the 165-mile loop with dirt track replacing pavement through Kingsbury. 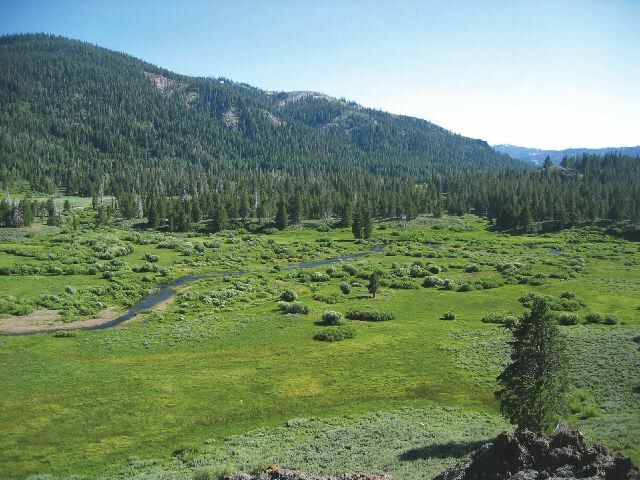 And with the recently formed Northern Sierra Partnership helped the Truckee Donner Land Trust and others rack up a few more wins in the mountains around Truckee, with the preservation of Webber Falls, Perazzo Meadows and others, insuring that the region’s most precious resources will be around for generations to come. These accomplishments are all the more impressive given the economic climate of 2009.